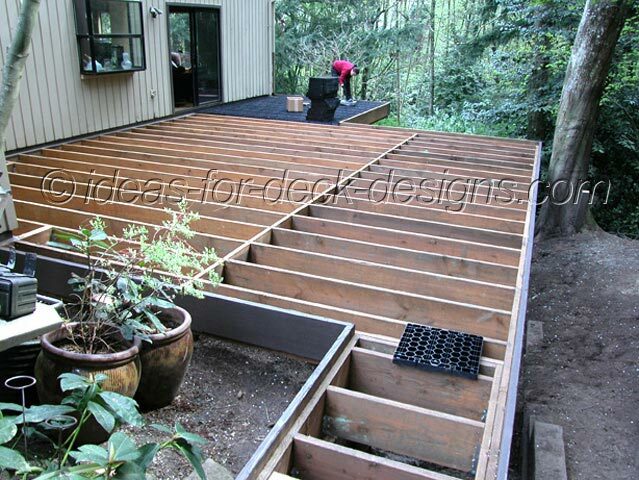 In a wood deck pavers situation, you must frame your deck as you always do but with a couple minor adjustments. Remember that this deck has to hold up the weight of real stone pavers. Pavers are heavier than regular 2x6 wood decking material. 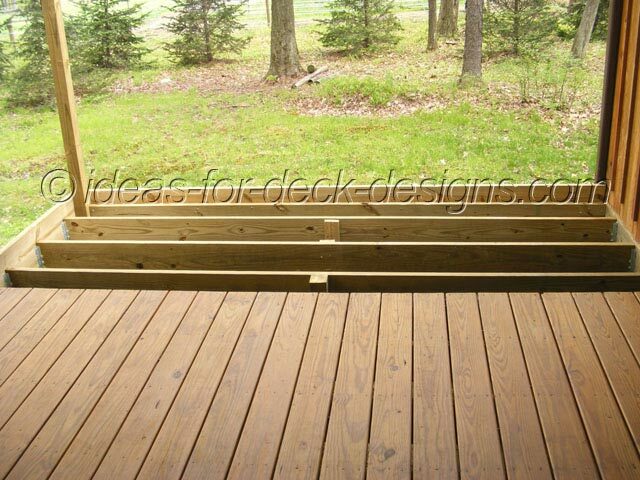 A regular deck typically is framed with 2x8 and that should always be the minimum. In this case 2x8 may well be sufficient. It is extra weight however and your soil must be able to carry this without sinking. You can see in this picture how a combination of wood decking is used with pavers over the end portion of the deck. For this homeowner, a tasteful contrasting combination of wood deck pavers was their preference. Notice again the band board ascending higher than the joists around the deck perimeter. And don't forget to install a larger rim joist or band board around the perimeter of the deck framing to keep the pavers firmly set inside the framing. This band board had to rise above the joists the same height as the deck pavers. So if you have used 2x8s for framing you will need a 2x10 as a band board. Wood deck pavers require this attention to detail in order for the install to go correctly.